Easy Watermark - Protect your work. Are you a photographer using WordPress? As you probably already know, there are tons of WordPress plugins available – the number is actually over 54,000+ right now. Easy Watermark – Protect your work. Speed is so important, because your customers and users expect a fast, reliable online experience when browsing your website. For photography websites, it’s even more important to spend time optimizing your website because all of the images on your website are likely to contribute to a huge portion of your site’s loading time. Using the WP Rocket Caching plugin, you can improve your page load speed significantly and reduce the load on your origin server. WP Rocket and Cloudflare together are the perfect match and definetely two of the best ways to quickly speed up your website so you can rest assured you won’t annoy your visitors. 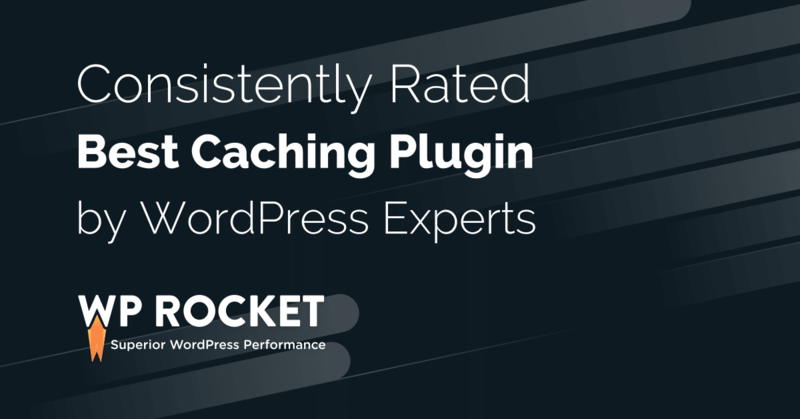 Along with the two other WordPress performance optimization plugins in this list, WP Rocket is vital if you want to ensure your website loads fast and reduce the likelihood of your website crashing if (or when) it gets flooded with traffic. Rank Math SEO for WordPress is the complete search engine optimization suite for any kind of WordPress website. While Rank Math is not the most popular search engine optimization plugin for WordPress, it’s definitely still worth checking out. For photographers, Rank Math SEO allows you to optimize your pages and enables you to use open graph metadata. The Open Graph is used by a large number of other social networks including Facebook to properly link to your pages when displayed. The Rank Math plugin takes care of everything when it comes to search engine optimization and helps you by providing you with insights that do not require you to leave the WordPress admin area. And in my opinion, together with the powerful Google Search Console Integration, this has been done very well. I can easily view any crawl errors that Google has identified on my website right from my WordPress admin area and then fix them using Rank Math’s included redirection module. Honestly, those two modules really are a perfect match. You likely want to provide your website’s visitors and potential photography clients with an easy way to get in touch with you. This is especially the case if you are a professional photographer and want people to hire you or are actively looking for work! One of the best ways to do this is by using our favorite WordPress form plugin which aptly named WPForms. As for any website, security is vital for your photography website and reputation. Wordfence Security is one of the best free WordPress plugins that can be used to easily secure your website. If you want to secure your website by proactively checking to see if your server or website have been compromised and implement security practices that protect your website from future threats, you should definetely take a look at Wordfence. Don’t be that photographer which falls into the trap of thinking that the images on their site need to be the full-resolution, uncompressed images from their DSLRs. There’s no doubt that I agree, full-res, uncompressed images are absolutely stunning and beautiful but they don’t belong on your website because all that will do is annoy your users and make your website load a lot slower than it should. To make the hassle of reducing the size of your images and optimizing them for your your website’s speed a thing of the past, you can use the ShortPixel WordPress plugin. ShortPixel is by far our favorite image compression plugin for WordPress, and we use it on this site to ensure that our load time is just as fast as our visitors . The Picu WordPress plugin helps photographers let clients proof (approve) photos on your own website. All you need to do is create a collection of photos and send the link to your customers via email. When the client approves the collection of photos, you’ll be alerted by email. This is a great plugin for photographers – Shoot. Upload. Get Approved. It is common practice for photographers to add watermarks to their photographs in order to protect them from misuse or reuse without permission or even accreditation. The Easy Watermark plugin allows you to automatically add watermarks to images that you upload to the WordPress Media Library. All you really need to do is choose an image, set your preferred opacity and watermark position and the plugin does all of the work for you! The plugin is also able to add watermarks to existing images in your WordPress Media Library which is extremely useful if you’ve only just recently realized that someone has been stealing and using your work as if it is their own. As you may already know, slow websites have higher bounce rates and lower conversion rates. The Perfmatters plugin is made by the web performance geeks over at Kinsta to help you easily speed up your website in just a few clicks. ShortPixel and Perfmatters are two great plugins that are ideal for photographers who want to optimize their WordPress website to make it load faster than ever. We hope that this article helped photographers out there choose the best plugins for their WordPress websites. If you enjoyed this post, you may also want to check out our roundup of the best places for photographers to sell their work and make money online. Did you end up installing any of these plugins on your own photography website? Why not Tweet @WPModula? I have installed the ‘Portfolio Designer’ WordPress plugin on one of my client’s website. It offers an easy way to add a photography portfolio to your website. This plugin provides different portfolio layouts like Grid, Masonry, Slider, etc. to set up your portfolio page for any WordPress website. It has 50+ unique hover effects included in it.